by Craig Takeuchi, Georgia Straight February 1st, 2019. If you’re an entrepreneur with a brilliant business idea in need of investors, you might want to consider entering a lair to face off against some Canadian dragons. 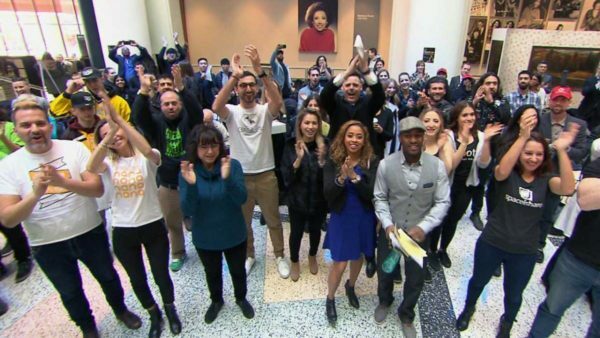 The CBC TV series Dragons’ Den will be launching a cross-country audition tour in Toronto on March 2 to find fresh meat—erhm, business pitchers for Season 14. Participants of all ages with businesses at any stage of development are eligible to attend. Entrepreneurs should be able to pitch their concept within five minutes. Selected applicants will be invited proceed to the den in Toronto where they will make a presentation to the fierce team of dragons: Arlene Dickinson, Jim Treliving, Lane Merrifield, Manjit Minhas, Vincenzo Guzzo, and Michele Romanow.